One of my favorite treats to make for Christmas are chocolate dipped Christmas pretzels. They are easy, perfect for the kids to make, and are a great treat to include with your neighbor gifts. When we make treats to give out to friends and neighbors at Christmas, we always include chocolate dipped pretzels. We usually add sprinkles to make them more festive, but this year we are going to have to raise the bar because I have fallen in love with some really fun ideas for chocolate dipped Christmas pretzels. 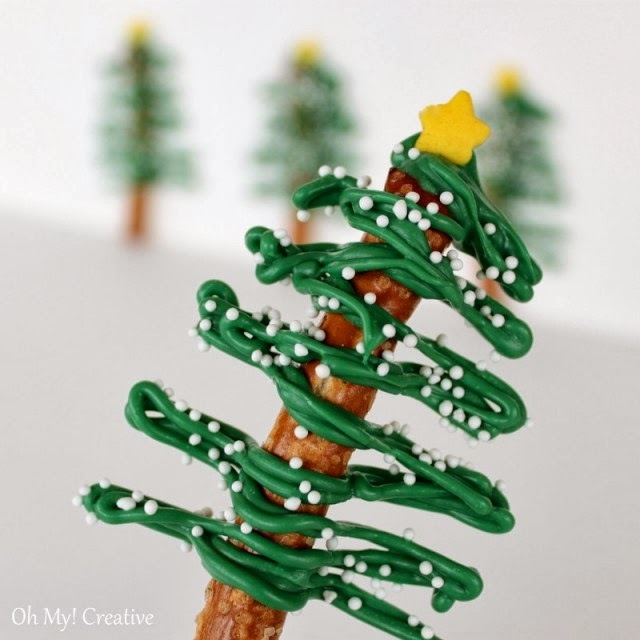 It started with these fun chocolate pretzel Christmas trees from Oh My! Creative. They are cute enough to be cupcake toppers for a Christmas party or the perfect addition to your gingerbread house if you are a serious gingerbread house maker. We tend to get a little competitive with it in our family. 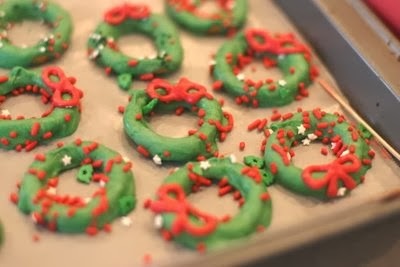 Of course, then I started searching for other cute ideas and came across these dipped pretzel wreaths from Work In Progress Kits. The bows might take a little practice, but other than that they would be easy and quick to make. And then it was these Santa hat pretzels from Free-N-Fun Christmas. How could you not fall in love with these! 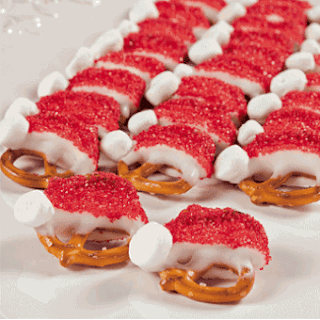 Even Santa himself would love these Christmas pretzels! 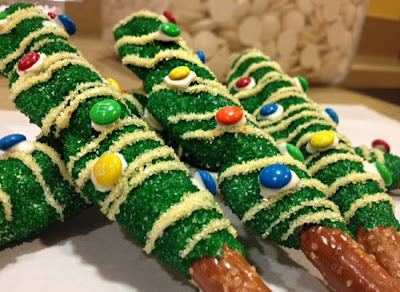 And last but not least, something a little simpler, these chocolate dipped pretzel Christmas trees from Fresh Baked Disney. They are actually dipped in caramel, but obviously would work with chocolate too. And if you use both caramel and chocolate they would only be that much better. These are covered in green sugar and then decorated with mini M&Ms, the perfect job for the kids in your house.